It wouldn't be called a fish camp if it weren't bringing in the Bay's local fish everyday. Not only do we have fresh seafood, but accompanying Southern Classics with a great Craft Beer and Wine selection. Our friendly staff strives to match the delicious food with exceptional service to assure your visit to Owen's Fish Camp is second to none. 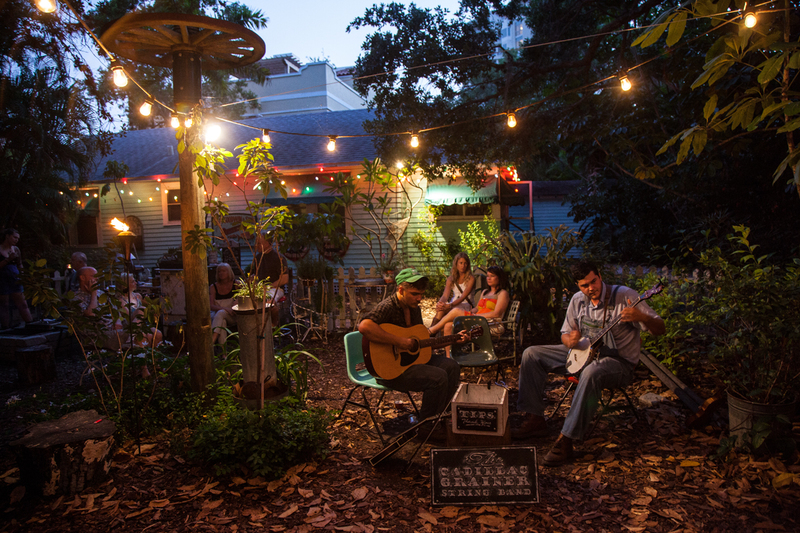 Located in the heart of Burns Court in Downtown Sarasota, Owen's Fish Camp is an ode to old Florida living. From the looming Banyan tree out front, given to Sarasota developer Owen Burns by Thomas Edison, to the tire swing out back, it is a restaurant full of history and Southern Hospitality. The casual atmosphere allows guests to relax and enjoy what makes Florida so special. "That sinuous southern life, that oblique and slow and complicated old beauty, that warm thick air and blood warm sea, that place of mists and languor and fragrant richness..."